Delete the initial MEmu and create a new MEmu using Android 4.4 (or Android 5.1 for WAO, LSS, ROC or Lords Mobile) by clicking “Delete” as the default MEmu is not the correct version of android. The Multiple Instance Manager is where you can create all of your accounts. Click “Create” in the bottom right and corner and choose “Android 4.4” (or Android 5.1 for WAO, LSS, ROC or Lords Mobile). Each of your farm accounts must have it’s own account in Multi Memu. Once you’ve created your accounts, it’s a good idea to rename it. Make sure to only use A-Z and 0-9 in your name. Press start to activate the new account. It will upgrade the Android device. Search “Google Play Games” and press the search icon. This will lead you to a page where you can add your first Google Account. Once you login you should see this page. Click on the Google Play Games app, it should say “Update”. Click “Update” and wait for the installation to finish. Open the Google Play store app and search the game you wish to bot. Install the game and open the game. Log into your own account through the game and change your settings to these. Now, open your MEmu settings by pressing the Gear symbol on the right side of MEmu. Switch to the “Others” tab. Switch to the “Advanced” Tab” here you will be able to change the settings of your device model. Try changing your device model if you are having trouble with yours. Now that you’ve configured one bot, you should clone the bot to copy the configuration, or you can create a new bot and go through all of the steps again. If you decide to clone, make sure to change your Google account. You can batch clone to create multiple instances at once. It’s recommended to only clone a small number and then move to larger numbers if everything works smoothly. Press start and open all of your accounts. Here is how to change the google account. Click “Settings” and scroll down to “Add Account”. Add your Google Information to the correct account and repeat this process for each instance of MEMu. When you are done it’s time to download the GNLauncher. 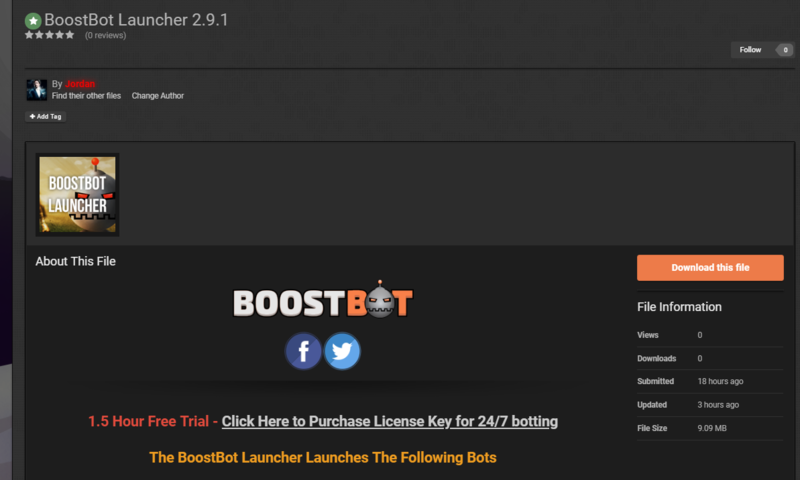 Go to this link and click “Download this file” to download the BoostBot Launcher. You will need to be logged into a BoostBot forum account to download. If you do not have a BoostBot account, make one here. Select the Bot you wish to use and either “Register” your purchased license key or “Activate Free Trial” for a 1.5 hour free trial. To get a license key, click here. On the start page of your bot you can decide how many sessions you wish to run. We recommend starting with a low amount of sessions and working up to see how many bots your computer can handle. On the Accounts tab you can see all of your Multi MEmu accounts you configured earlier. To configure actions for each account, double click it and a window will pop up that will allow you to configure its settings. To configure settings just click the tick box in front of each setting you wish to activate. Select “Mark as Default” to make the settings the default settings for each account. To learn more about each setting in the bot, click here. Once configured you will be able to see check marks showing you it’s ready to bot. You can pause and unpause accounts by selecting the account and clicking “Pause”. Congrats, you are done! Enjoy!